As we read this quote, I'm sure we believe that education is that one passport that every child deserves to hold. That being said, the sad truth is, it is a lot more difficult for some compared to others. The Sikkim Himalayan Academy, a free residential school on Eastern Himalayas for the underprivileged children from the remote mountains, hopes to overcome all odds stacked up against some of the unfortunate kids and provide them all with excellent education. Hence, as a part of our project, Project Alpha by The Living Routes , we aim to throw some limelight on this inspirational school and help them raise funds for building a recreational centre/classroom for the students. 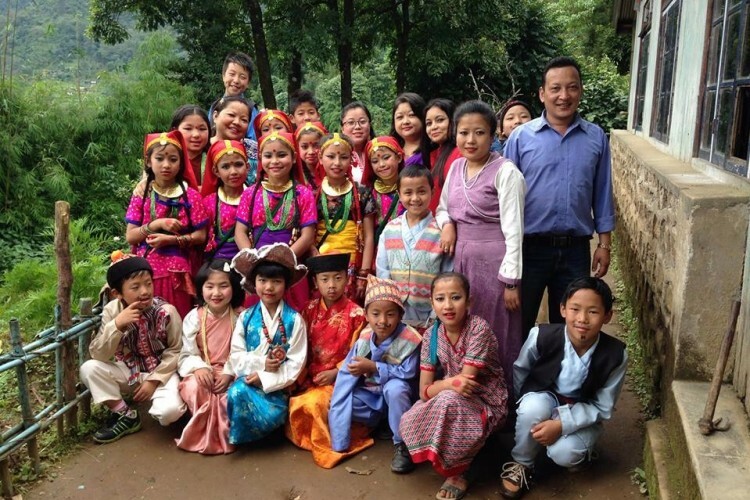 Started by a few local Sikkimese teachers and volunteers in 2003, the mission of SHA is to provide free education as well as daily care to children in need from the remote mountains of Sikkim. The school faces multiple challenges in doing so. Some of them include staying in the makeshift hostel in the attic of the school, accessibility to resources, weather conditions, lack of opportunities for talented kids due to devoid of a facility room etc. The school wants to provide its students not just in academia but also extra curricular activities so each student can hone over their talents. The academy is also short of one classroom for its students who are currently being taught in corridors. They hope to build a recreation room which can also be used as a classroom for the same. Every donation made to this project will be contributed to building this room for the kids at Sikkim Himalayan Academy. Kindly note that goal of this fundraiser includes transaction charges, website charges etc. And any extra amount received will go to the school's cause. Your share could be as good as a donation for Sikkim Himalayan Academy! Not everyone can afford to take care of their loved ones. Sikkim Himalayan Academy's life can only be saved by donations made by kind people like you.